Terence Trent D'arby released four Top 20 singles in the UK during 1987 and 1988; "If You Let Me Stay", "Wishing Well", "Dance Little Sister" and "Sign Your Name". 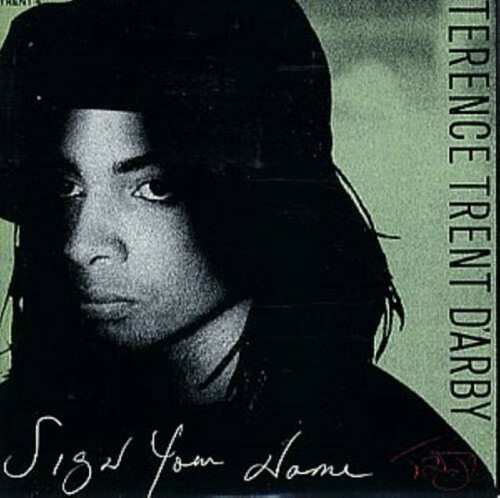 Sign Your Name was the fourth single release from the highly successful album Introducing The Hardline According to Terence Trent D'arby, and the last to chart in the UK top 40 until 1993. It peaked at #2 in the UK and #4 on the Billboard Hot 100 (U.S). It was #1 in Ireland. Interestingly, the B-side was called "Greasy Chicken". His debut album sold a million copies worldwide within three days of its release, and spent nine weeks (non-consecutively) at #1 in the UK album charts, selling over 1.5 million copies and acheiving 5x Platinum status. The follow-up album Neither Fish Nor Flesh was rather less successful peaking at #12 (UK) and selling just over 100,000 copies and acheiving Gold status. Not sure why Terence looks so miserable on the cover of his Sign Your Name single, though?